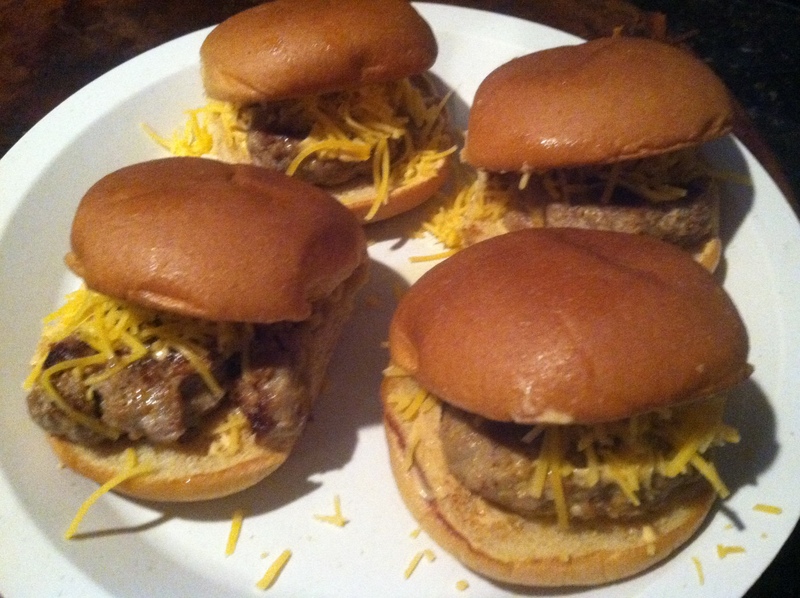 Sliders are fun and perfect for someone looking for a meal that is geared towards portion control. I paired my cheddar turkey burger with a spicy mayo that only involved two ingredients! 1/4 teaspoon of Tabasco chiptole sauce. 1. 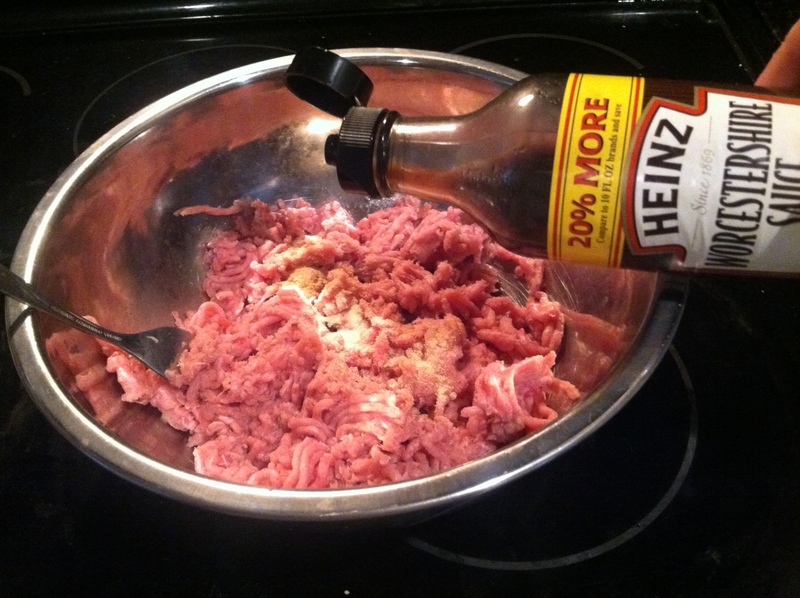 In a bowl, mix together ground turkey, onion powder, garlic, onions and Worcestershire sauce. 2. Throw in cheese! Time to have some fun and mix with your hands! 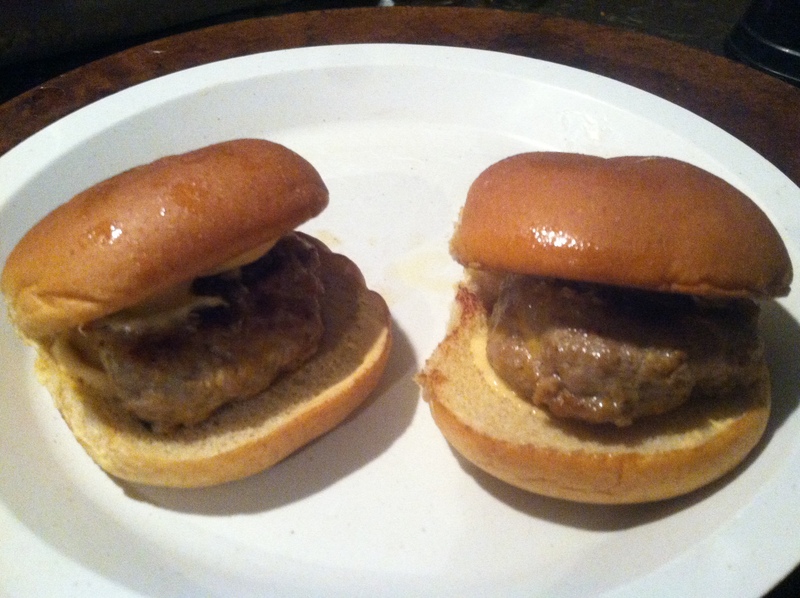 Form into mini patties. 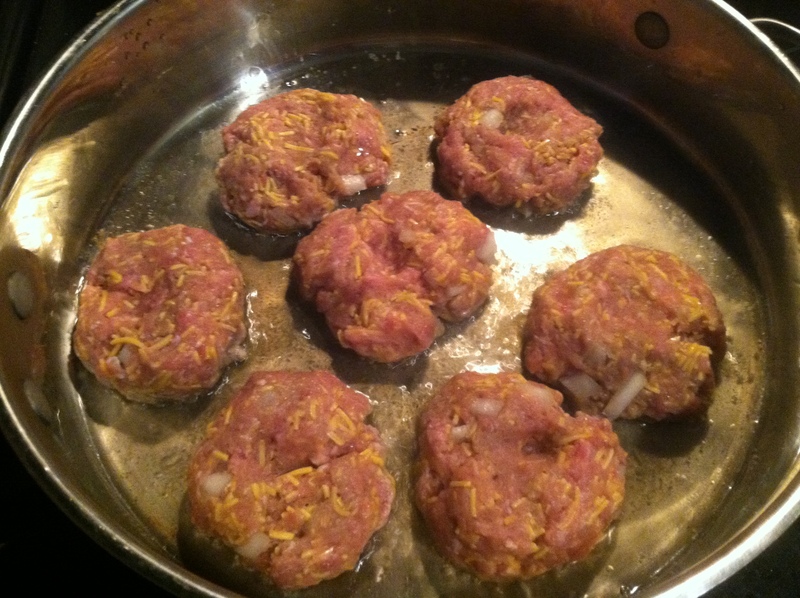 Make sure when you form patties, that you make a thumb print in the center of the patty to let the patty breath. 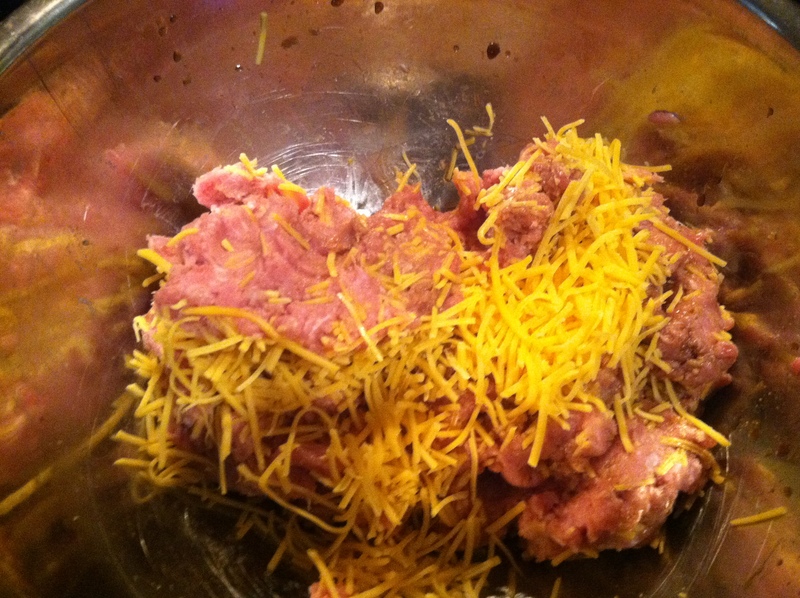 As turkey and ground beef spread and rise as they cook. 3. In a saucepan or a griddle, place a little bit of olive or canola oil in the pan. Brown each side about 3-5 minutes. Turning once. 4. 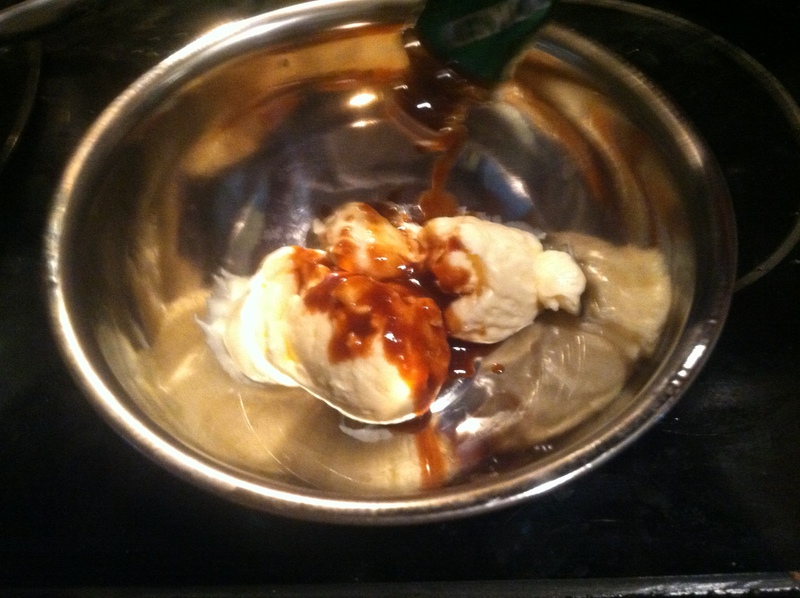 To make the chiptole mayo, mix the Tabasco sauce with the mayo. Whisk until fully mixed. Spread onto toasted buns on both sides.